In 1783 John Miers advertised “a Perfect Likeness … reduced on ivory for Rings, Pins, or Bracelets” for 5s. each. This was early in what was to be a successful career spanning almost forty years that took Miers from his home town of Leeds to a busy studio in the Strand, London. This small jewellery silhouette of a lady wearing a fichu and a cap trimmed with ribbon bows comes from that early period and is, in all likelihood, a mourning piece worn perhaps by her grieving widower or by one of her children. Sadly though the lady’s name has not been preserved alongside her profile. 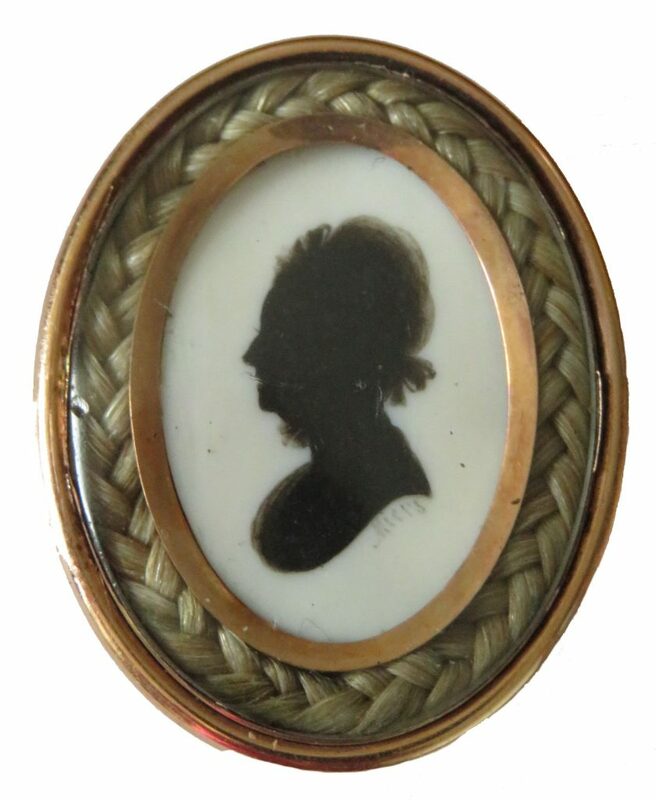 The silhouette is painted on ivory and is signed ‘Miers’ under the truncation. 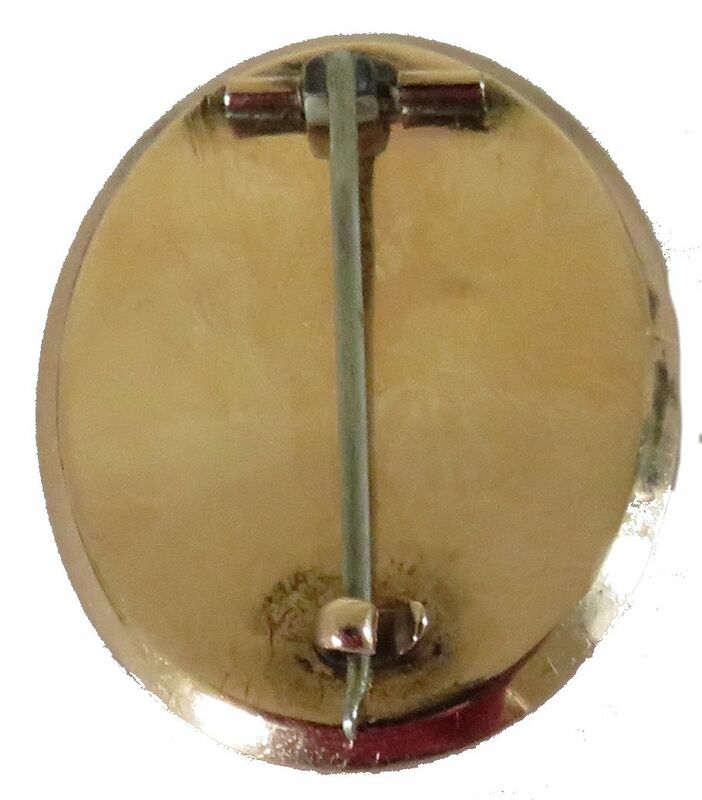 It is set in a gold brooch frame with an attractive surround of delicately plaited blonde hair. 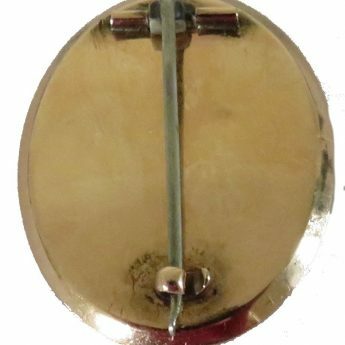 The old glass has a couple of scratches; there is a small dent to the gold on the reverse side and the pin is a little bent.